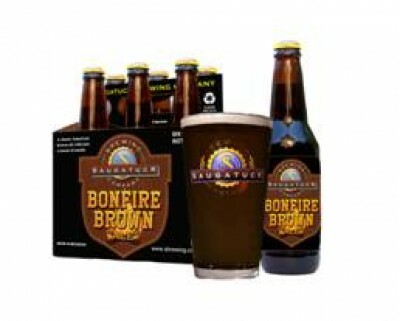 (Douglas, MI) – Saugatuck Brewing Company today introduced its fall seasonal offering, Bonfire Brown Ale. Brewed with ten different malts and Cascade and U.S. Goldings hops, it is a classic American Brown Ale with a slight smoky character. It is moderate in alcohol volume (5.5% ABV) with relatively low bitterness (20 IBUs). To celebrate the occasion, SBC will host a “Party on the Patio” Sunday, September 9th from 3-6 pm. Bonfire Brown is available in 6-packs and on tap throughout Michigan and will be available this fall in the Chicago market.